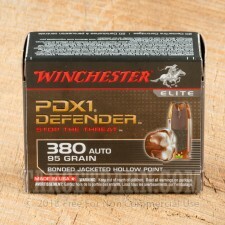 The primary service bullet of the FBI, Winchester Bonded PDX1 Defender is engineered for real-world threat situations. Winchester uses a proprietary bonding process to weld together the lead core and copper jacket of each round. This bonding process creates a controlled expansion, higher weight retention, and increased stopping power. Now, you can get the technology used by law enforcement specifically built for your concealed carry pocket pistol chambered in 380 ACP. 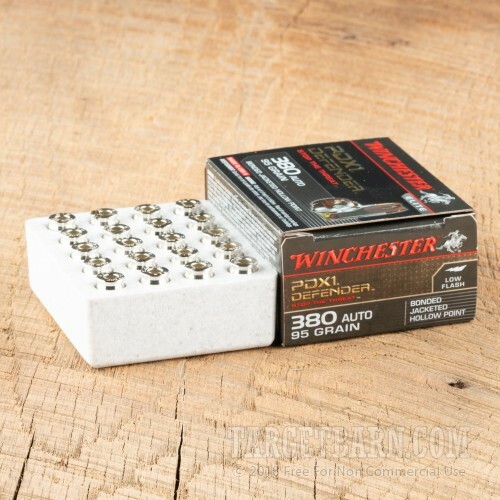 Expanding up to 1.5 times the size of the original bullet upon impact, these jacketed hollow points feature a special notching pattern that creates segmented expansion. With this patented 6 segment expansion, Winchester Bonded PDX1 Defenders can take on the toughest barriers and achieve deep piercing penetration. You get 20 rounds of quality boxer-primed, brass-cased, corrosion-resistant, reloadable rounds. 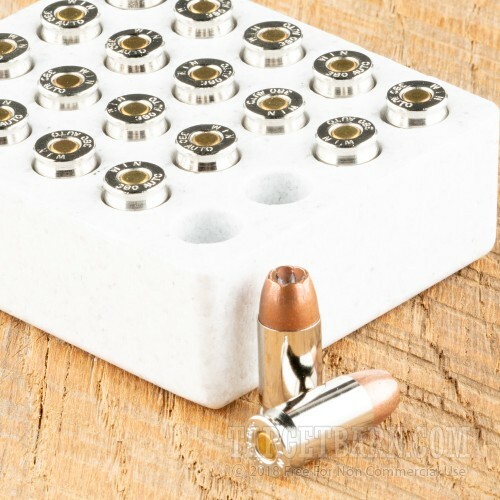 The nickel-plated brass shell casings facilitate smooth chambering and consistent shell ejection, and the copper alloy jacket maximizes terminal effect over varying ranges. 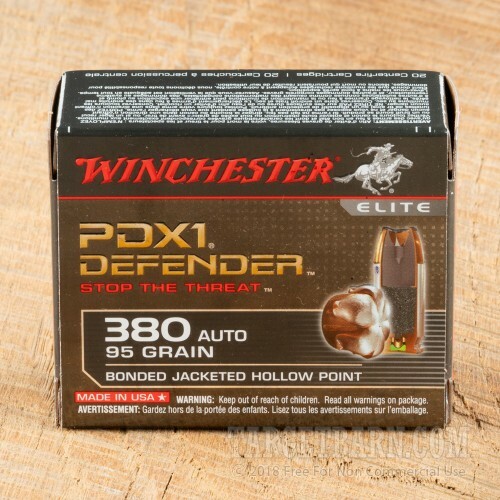 Capable of reaching a muzzle velocity of 1,000 feet per second, these reliable and effective .380 rounds are a smart choice for both personal defense and law enforcement use.